Last Horse, Oglala Sioux Chief. Native Americans. 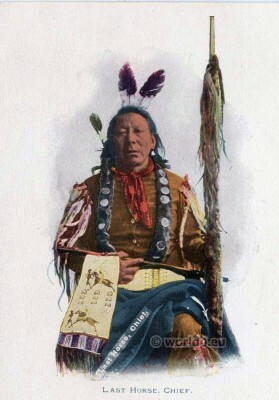 Home » Last Horse, Oglala Sioux Chief. Native Americans. This entry was posted in 1890, 19th Century, Headdresses, Native American, North America, Traditional and tagged Native american dress on 4/24/13 by world4.